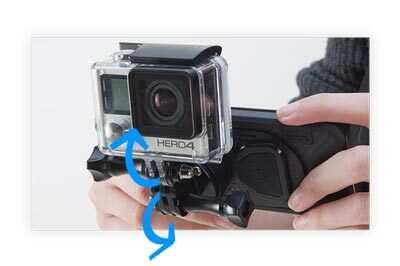 CamKix Stabilizing Hand Grip with Dual Mount for GoPro: lets you record with 2 cameras from different angles. 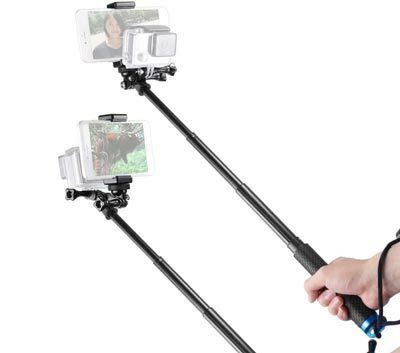 Comes with a tripod adapter and universal phone holder. 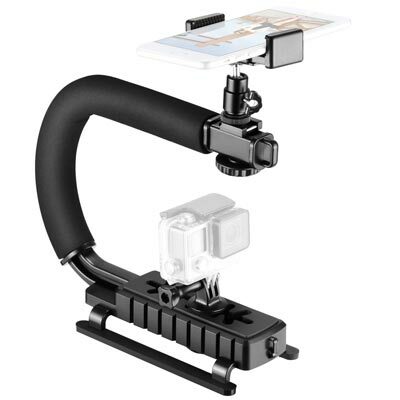 Fantaseal 4-in-1 Camera Stabilizer: a C Shape rig with a phone clamp and GoPro holder. Lets you capture moving scenes like a pro. 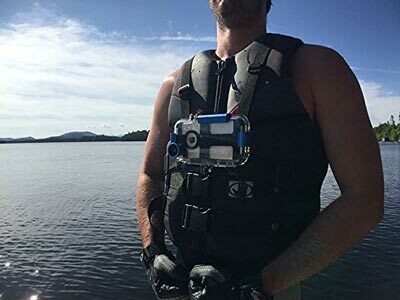 ProShot GoPro Mountable Case for Diving: a waterproof case that lets you do more with your action cam. It lets you go to a depth of 130 feet and works with your favorite action cam mounts. 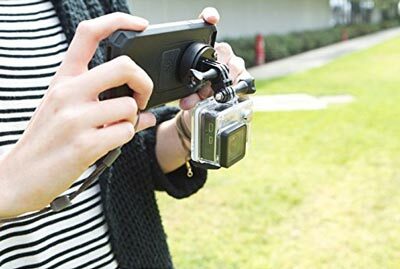 Ztylus GoMount Kit: combines with your Ztylus iPhone case to hold your GoPro. 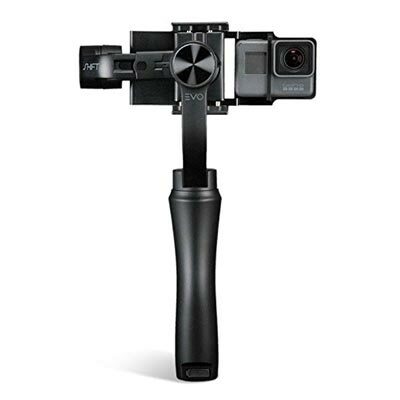 iPhone X GoPro Mount Kit by Rokform: allows you to connect your GoPro to your iPhone X to do more with it. 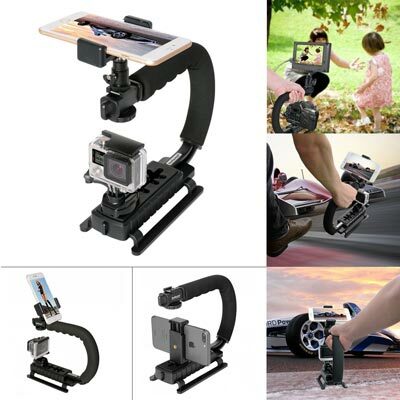 EVO GoPro Adapter Plate for Gimbals: lets you use your action cam with your smartphone gimbal to capture smooth footage. Rokform iPhone 7 Plus Case GoPro Mount: get this to use your phone as the viewfinder for your action camera. 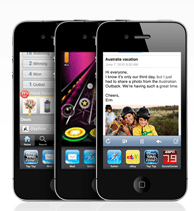 It lets you mount your phone in horizontal, vertical, right-side up and upside down positions. 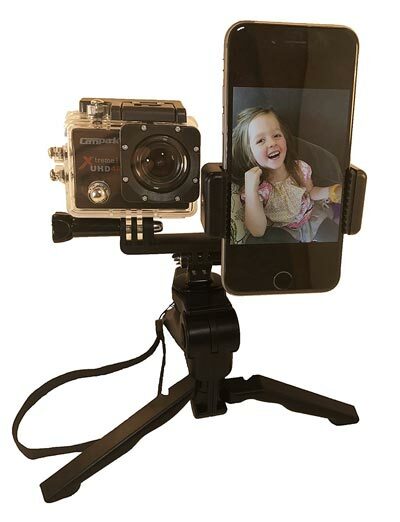 Polarpro: another GoPro mount for your iPhone. It lets you see what is your camera is shooting on your phone. Steadywheel: a portable GoPro and smartphone stabilizer. 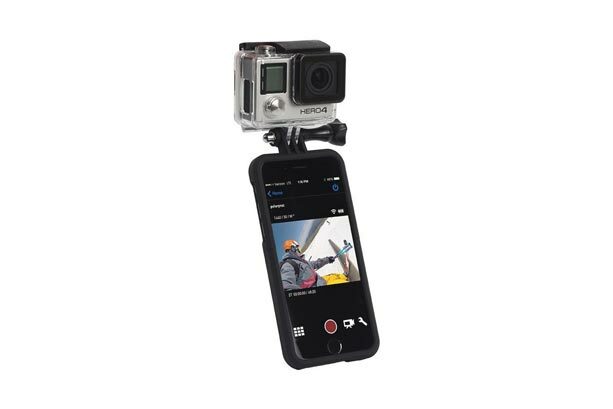 It is waterproof and compact, so you can capture smooth video while surfing and skateboarding. Zeadio Ergonomic Stabilizer: can be used to hold smartphones between 58mm to 105mm and supports 360-degree rotation. Neewer C-Shape GoPro Rig: another 4-in-1 handheld stabilizer that lets you attach small camcorders and action cams to capture moving action smoothly. You can mount your smartphone to see what your action cam is recording. 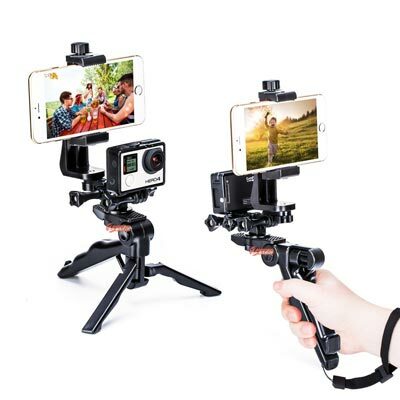 Neewer Hand Grip Dual Mount Stabilizer: allows you to capture video from 2 different angles. Its length can be adjusted with 4 segments. It fits GoPro HERO, iPhone 7 Plus, and other comparable devices. 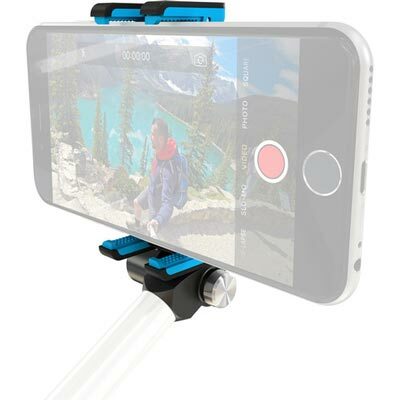 Octo Mount: a dual smartphone tripod and hand grip mount compatible with iPhone, GoPro, and Android smartphones. Scene Cap: this cap has a smartphone/GoPro mount. 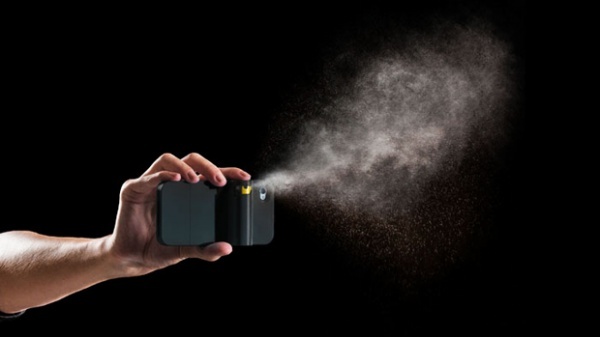 It can support up to 16 ounces of weight and reduces camera shake as you move. 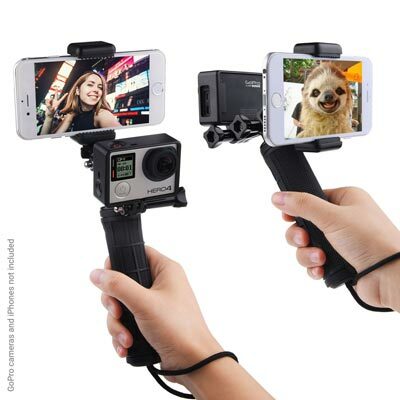 GoPole GoPro to Mobile Adapter: fits smartphones 2.09 to 3.19″ wide. Connects to accessories for action cams with a a 3-prong connector. 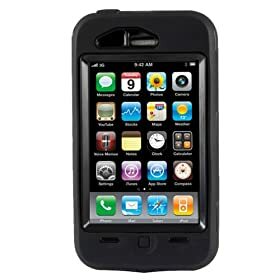 Have you found more useful iPhone accessories for GoPro users? Please share them here.